For the past 14 years I have worked with adults who have severe/profound hearing loss. The vast majority of the people I work with have what is called an acquired loss, which means that they were born with normal levels of hearing but became deaf at some point later in life. Deafness is a hidden disability. If people become deafened after they have developed normal spoken language skills they don’t sound deaf when they speak. People may notice that they are using hearing aids but assume that this means that their hearing problem has been rectified simply through using them. Not so. Part of my work involves helping people think about how they manage their communication with other people. Should they tell people about their deafness on first meeting? If they disclose that they are deaf, is that enough or do they need to explain what being deaf means and what they want the other person to do to help? Should they just wing it and only say they are deaf if they become aware that communication has broken down? What impressions will people have about them if they don’t say that they are deaf and then mishear without even realsiing it? Will people think they are stupid/rude/arrogant/ignorant? Would they rather people know they are deaf? There’s a lot to think about. The most confident and relaxed people who I work with also seem to be the people who are upfront and open about their hearing difficulties. They may say things like, “By the way I am deaf which means I lip read so please can you look directly at me when you speak to me” or “Can I let you know that I’m deaf which means I really struggle to hear in background noise so would it be ok to turn off the music?” or “I have a hearing problem which means I can’t hear very well on the phone so please can you talk slowly and clearly”. They are using a clear three-part explanation. part 3 – say what you want the other person to do. If any part is missing the message can become unclear. If people just say they are deaf, the person they are talking to may not know what to do and could just try to leave the conversation as soon as possible. If you just tell the person what you want them to do to help you without disclosing that you are deaf you can come across as being unreasonable and demanding. If you explain why you want the person to change what they are doing they are more likely to try to help. 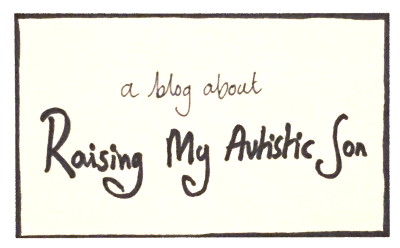 As a parent of an autistic son I have become increasingly aware of some of the similarities between the adults I work with and verbal autistic people. Both groups experience communication difficulties which due to their invisible nature can lead to confusing communication break down if the person they are speaking to is unaware of the reasons behind the communication difficulties or how they can help. I wonder what an autism version of the three-part explanation would be? I’m not sure but maybe it would be something like this. I’m autistic which means I struggle with eye contact., Please don’t think I am being rude by not looking at you, I do want you to carry on talking to me. I’m autistic which means I can’t tell if you are interested in what I am saying, if you want me to stop talking about X just tell me, I won’t be offended. I’m autistic which means I can only manage to socialise for a short time, so don’t be offended if I have to leave early. I’m autistic which means I won’t understand if you hint at something, if you want me to do something just tell me directly. The explanations will of course vary a lot from one individual to another and from one situation to another, although I think they need to be short and concise to work well. The aim is to keep communication going, and not detour into a long explanation about the nuances of autism. I wonder if these types of three-part explanations would help, at least in some situations? I’ve advocated for my son throughout his childhood and I want to pass on the baton so that he can advocate for himself as he enters adulthood over the next few years. Edward does tell people he is autistic occasionally and so far I think this has been a positive experience for him. I wrote about a time he successfully disclosed his autism to his friends in “goodbye aspergers, hello autism“. I would be really interested to hear from you if you are an autistic person who has thought about whether or not to disclose your diagnosis in social situations. If you do tell others about your autism, what do you actually say? One final note about hearing loss – if you are worried about your own hearing you can ask your GP to refer you to have a hearing test. Digital hearing aids are available on the NHS in the UK. There are also charities who provide excellent information about hearing loss as well as support. Here’s just a couple of them. I have auditory processing disorder so can relate to a lot of what you’ve written. Often I pretend I have heard what others have said to make it easier, there are only so many times I can ask a person to repeat themselves before I just give up. I think I might start using the three point to explain about APD when communication breaks down in the future, it may make things easier. Thanks for writing this post. OMG Lynne I absolutely loved this. As an EXPAT living in Holland I have really struggled to communicate and have in a post likened my communication problems to autism so I am over the moon to see that connection here too. I think your 3 step explanation is genius as knowing someone is autistic and understanding what that means are two different things and your 3 step explanation could make a huge difference. Thank you for linking up to #ablogginggoodtime ? I say this stuff on behalf of my sons all the time. We also often wear Auty not naughty shirts to alert people to their condition but it’s not enough.. I like 3 steps otherwise it’s open to interpretation! Great post!